KAMPALA. The dramatic events that have turned into the face of Kyadondo East by-election final rally are proving to be the perfect climax for those who love adrenaline-inducing incidents but not so for the candidates. Not even one belonging to the ruling NRM. Not contented with the gaffe that saw them arrest Bobi Wine from a previously sanctioned rally at Kasangati Saza Ground Police moved in to sort the mess as both FDC and NRM contested Wampewo venue. They arrested NRM’s Sebalu in a first of the kind. “NRM wishes to inform its supporters in Kyadondo East Constituency and the public at large that its candidate Sitenda Sebalu has this Tuesday afternoon been arrested by police on unclear circumstances,” said party publicist Rogers Mulindwa in a statement. However, PML Daily understands that FDC’s Kantinti had stormed Wampewo with his supporters insisting he had secured the venue and demanded NRM leave the place. Police found Sebalu in the wrong and arrested him as a preventive measure to calm the rising tension his presence was creating. “We call upon our party members to remain calm and focus on the victory within our sight,” he added. While Mulindwa was calm, Government publicist and former NRM spokesperson Ofwono Opondo was not amused. He was left seething, accusing the media of not giving the Sebalu arrest as much attention as they had given Bobi Wine. Meanwhile, PML Daily understands both NRM and FDC rallies have been hampered by low ‘voter’ turn-up. 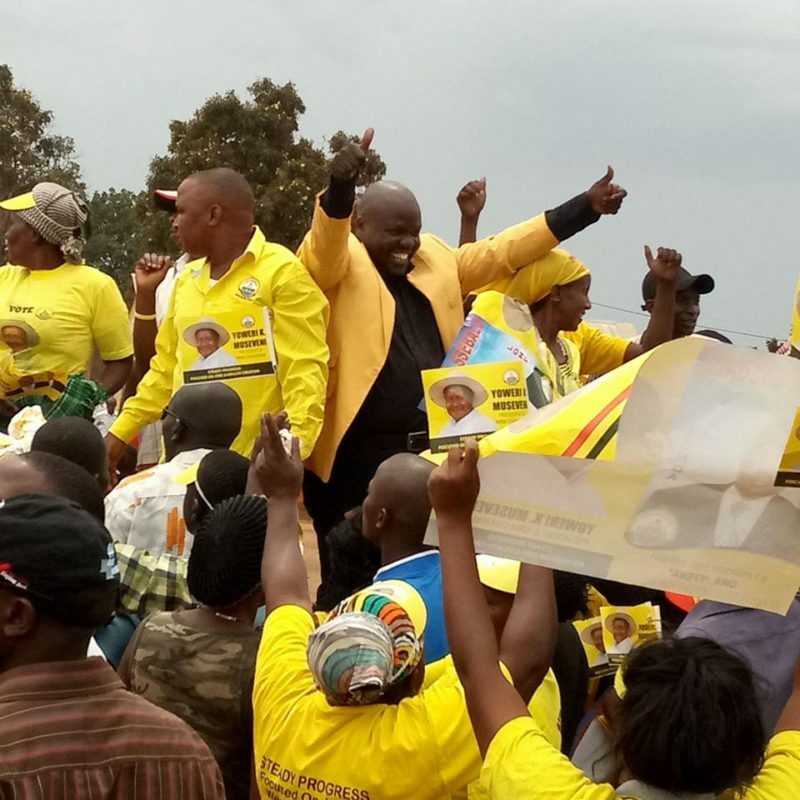 Daily Monitor newspaper reported earlier Tuesday that buses painted in yellow colour and emblazoned with NRM party insignia were seen ferrying supporters to Sebalu’s rally venue ahead of Museveni’s arrival.